Pierre has solid experience in recruitment, business development and management. He owned and managed two retail stores and went on to become a senior business development manager for a leading manufacturer of office equipment. 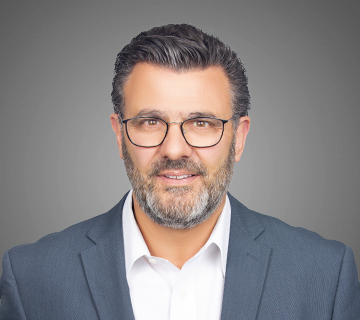 Passionate about the recruitment industry, Pierre is very well connected: he knows everyone in his market and everybody knows him. He has used his energy and people skills to recruit and place over 1000 B2B sales, management and marketing professionals since 1995. With Lock Search Group since 2002, he has delivered outstanding results for both clients and candidates. With a special interest in information technology and new platforms, he keeps his eye on where clients are headed with future needs. Pierre is a busy guy. Father of two, avid skier and cyclist, he’s always on the go.